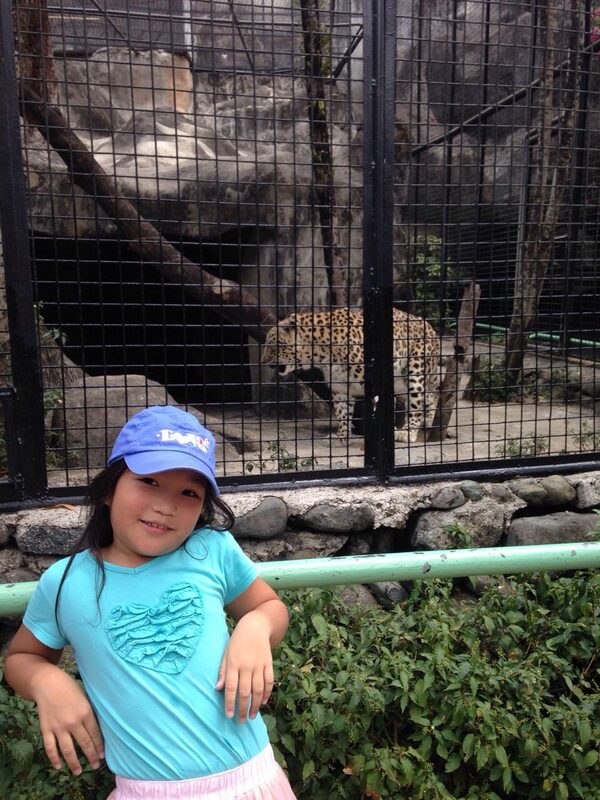 It was a day with Sabine on Saturday and we made a trip to Avilon Zoo. She missed her class field trip here when we went to Palawan, so I promised to take her here when our schedules cleared up. Before going, make sure you Google where it is. There are no signs at all until you turn to the street of Avilon Zoo itself. We took the Marikina – San Mateo – Rodriguez / Montalban road. Just go straight on down. A lot of truck and jeeps, so be patient. Especially because it is only a two lane road. When you see Total on the right, turn left. That’s the road of Avilon Zoo. It helps also to follow the Noah’s Park signs because that place is right beside the Zoo. There’s a portion right before the Zoo where people ask for P20 to use the road. Very odd. You wonder how the relocation site near the Zoo survives if all the people there have to pay and extra P20 a day just to get to their homes. Kind of insensitive of that family that owns that portion of the dirt and hole filled road. Though unfortunately, there’s no other way in. We paid P600 for my ticket and P400 for Sabine’s ticket. 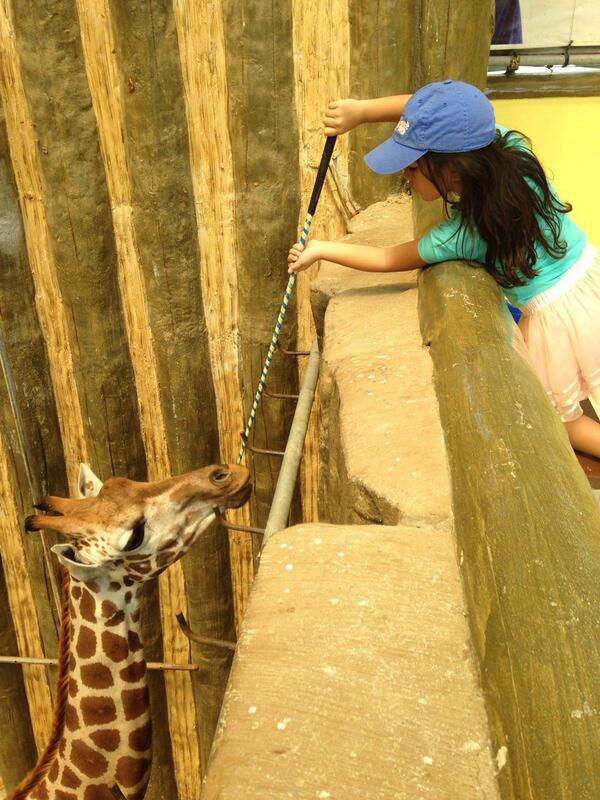 Then feeding the animals or taking a picture with them is extra P50 per activity. There are places to eat as well in the Zoo. Nice set of animals: snakes, lots of birds of prey, big cats, bears, zebras, ostriches, kangaroos, monkeys. I think they need alligators and an elephant. Maybe they can buy out Manila Zoo? The place is big so it would help if they gave a map to the place, but when we went there weren’t that many people so it was fun just walking around. 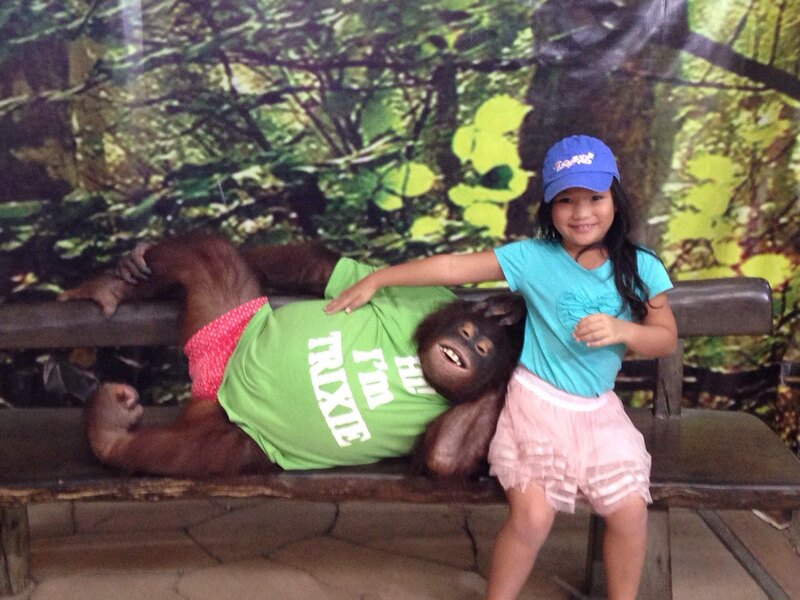 A good time to be with my eldest daughter, and seeing her excited to see the animals was awesome. Now I have to schedule a trip with the other kids especially after they saw the pictures. I didn’t want to take a picture with the snake, but I bought the stub already after Sabine said she wanted one. But got scared when it was out turn. 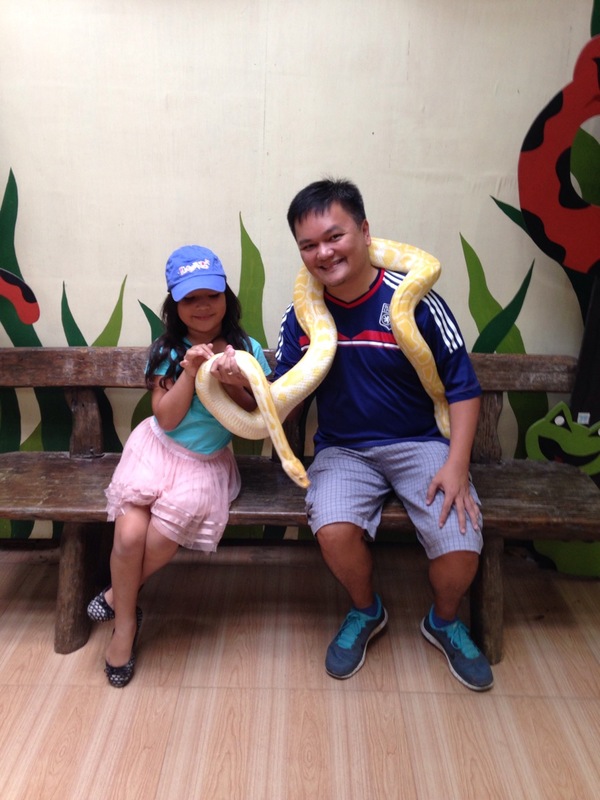 So even if I hate snakes, I had to show fearlessness, like any dad would, and showed her there was nothing to be afraid of. Thank goodness that snake didn’t kill me. 🙂 Anything for my babies. Thanks Avilon Zoo, we will be back!